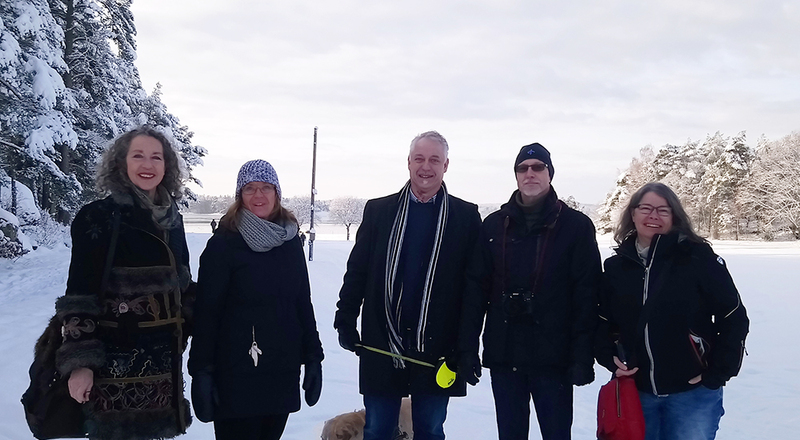 Mette Sørensen (vice president Douzelage Europe) and Annigje Kruytbosch (president Douzelage Europe) paid a visit to snowy and beautiful Oxelösund on the 18th to 21st of January to be warmly welcomed by Catharina Fredriksson (mayor Oxelösund), Johan Persson (head of local government) and Niklas Telin (Municipality Oxelösund). All of them are working very hard to make the next General Meeting, which will take place from 10-13 May in Oxelösund a success! Theme of the meeting is “Integration in European cities -Twinning for successful integration and democratic engagement”. ← Niederanven, Houffalize and Meerssen meet up in the Benelux Meeting on January 13th!